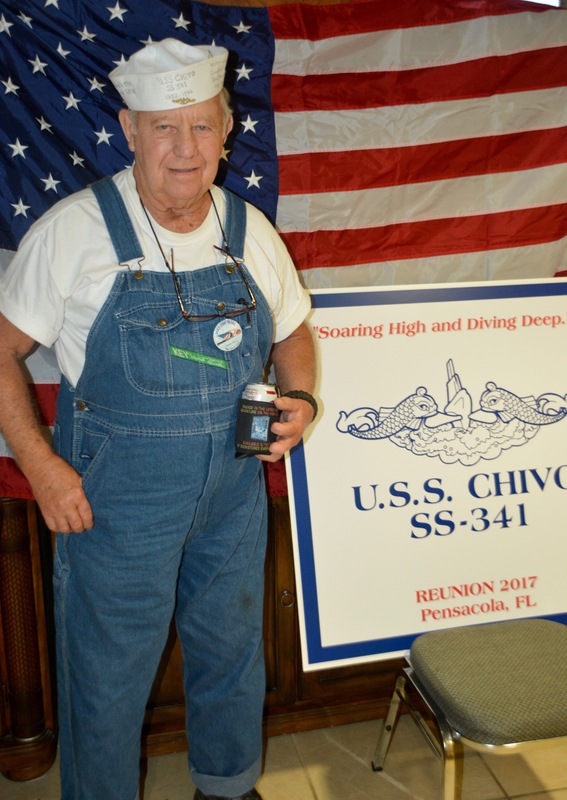 Reunion 17 - A slim and trim Tom Dean (68-70) is ready to party. 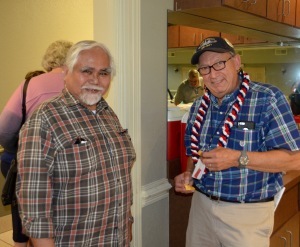 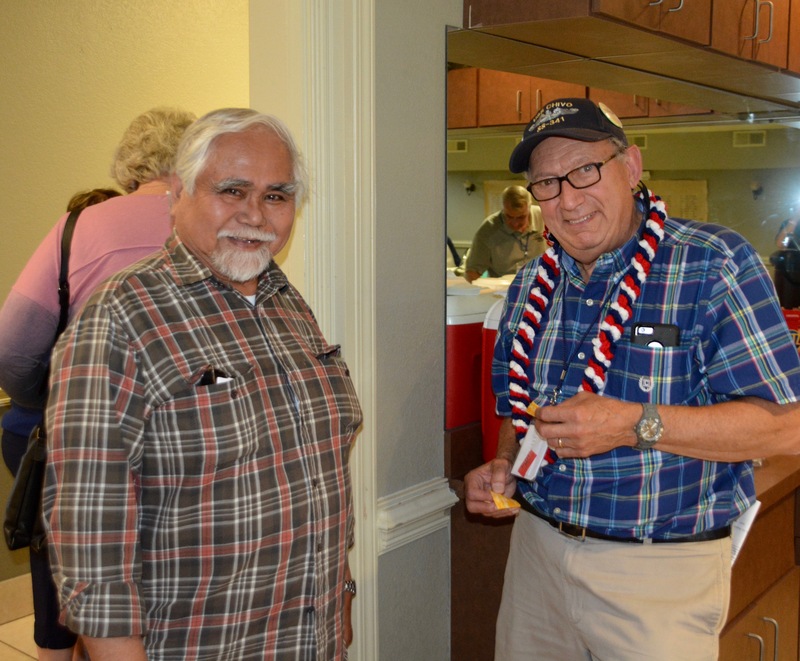 Reunion 17 - Bonifacio Cleto (68-69) talks with Peter McVicker (69-70). 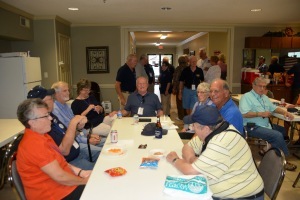 Reunion 17 - It was a great first night and the hospitality room was packed. 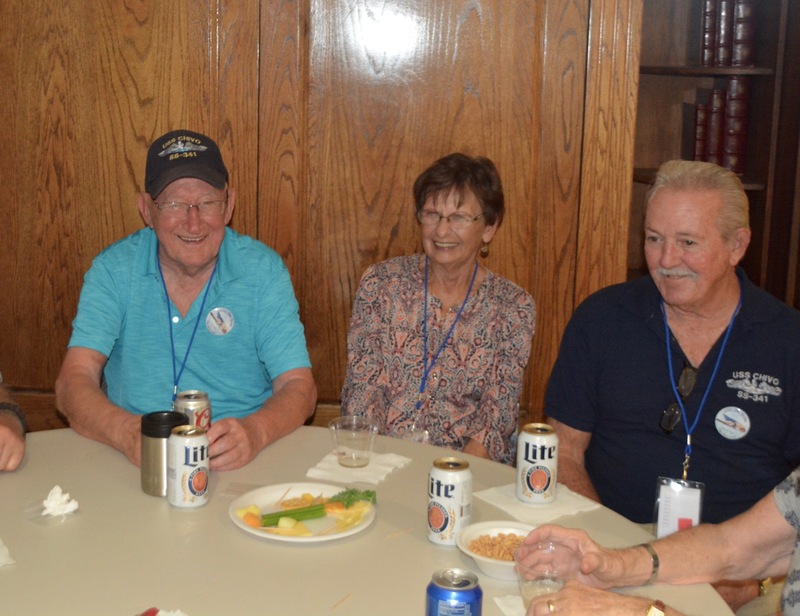 Reunion 17 - Rey & Barbara Plourd (55-56) with Lawrence -Brownie- Brown (54-56). 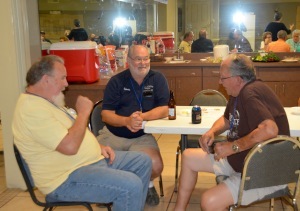 Reunion 17 - Richard -Cornstalk- Reitz (53-56) came in dress bibs. 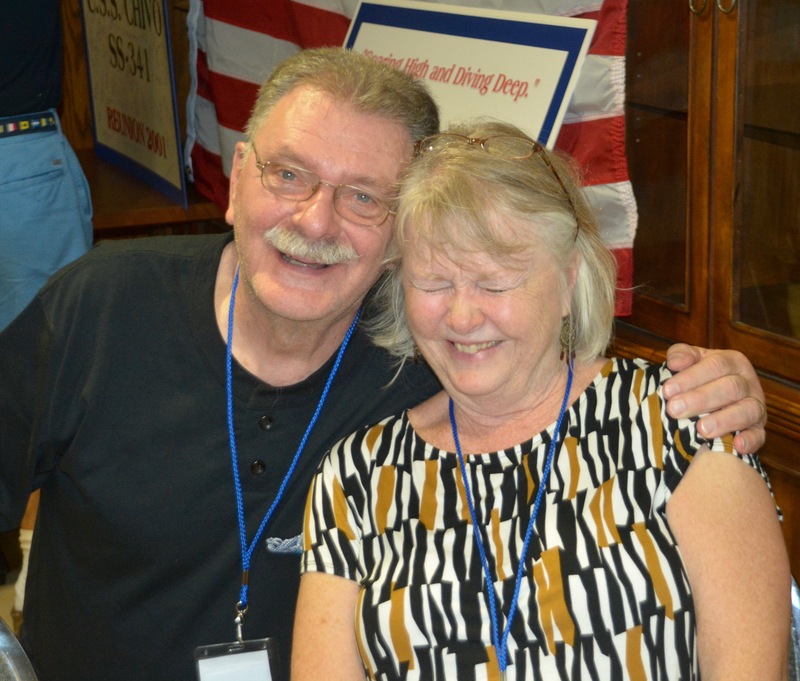 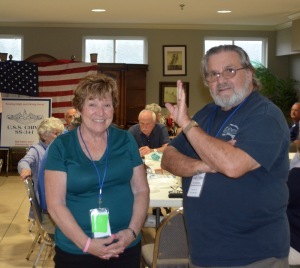 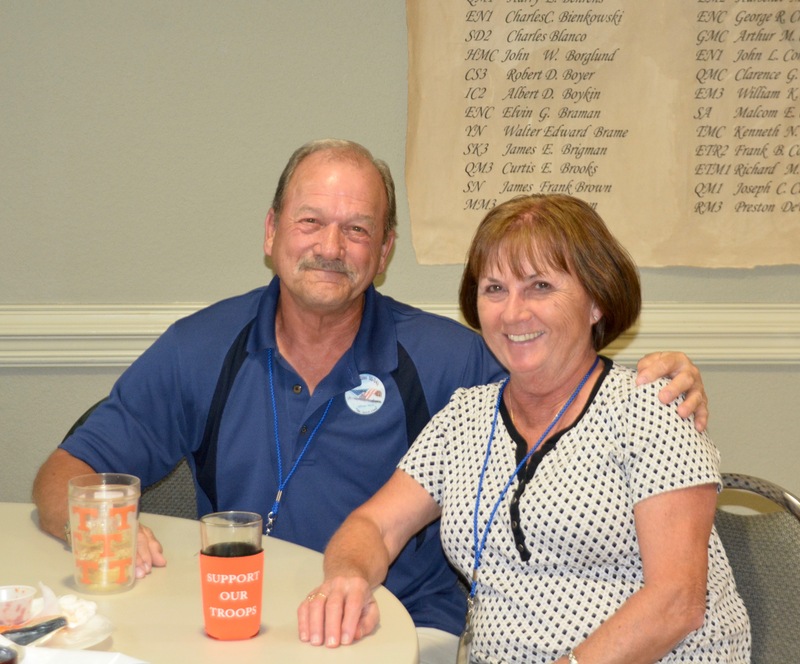 Reunion 17 - Pete & Trish Tallant (64-67). Reunion 17 - Jean McAleer with Mackey McCollum (64-70). 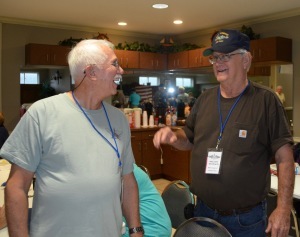 Reunion 17 - Doug Plummer (68-70) with P.O. Melton (64-70). 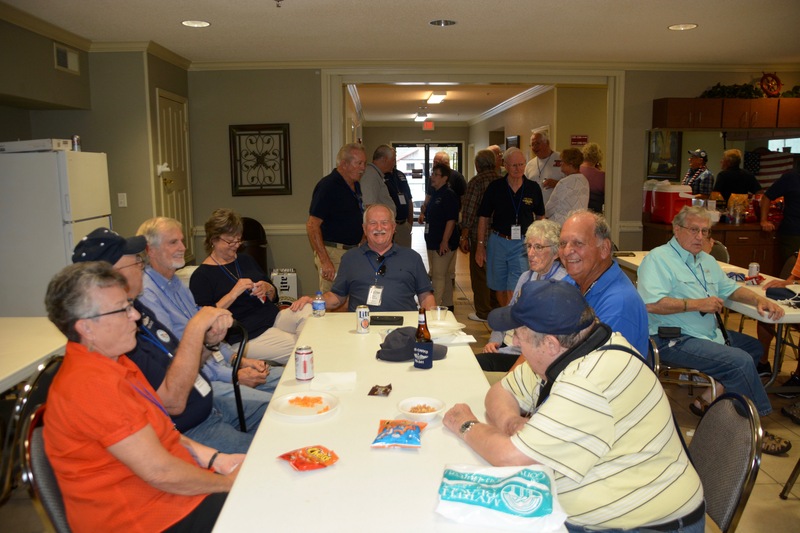 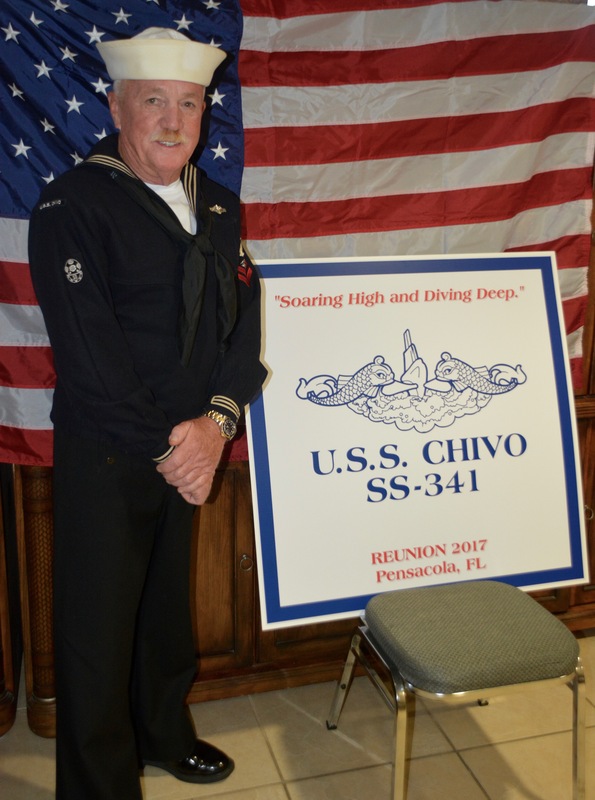 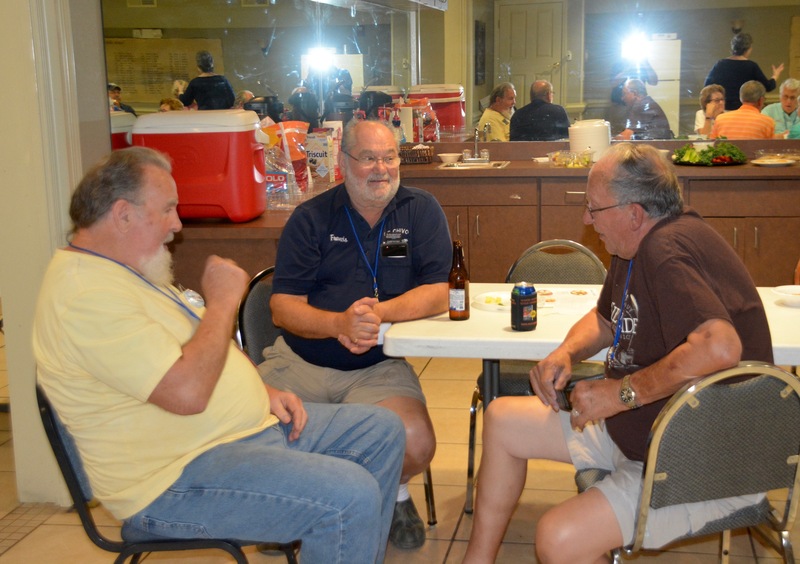 Reunion 17 - (L to R) Rey Plourd (55-56), Loren -Jake- Jacobsen (55-57) and Lawrence -Brownie- Brown (54-56). 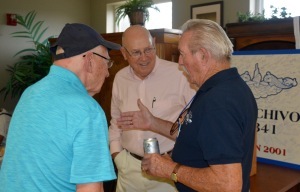 Reunion 17 - (L to R) Leon Moore (65-67), Francis Daigle (68-70) and Don Morris (63-66). 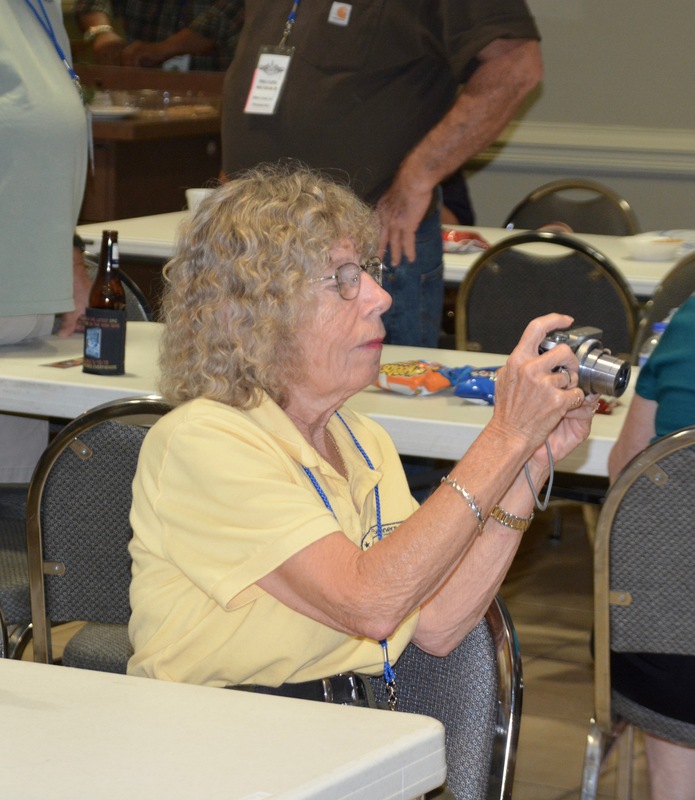 Reunion 17 - Sandra Dafoe photographs the action. 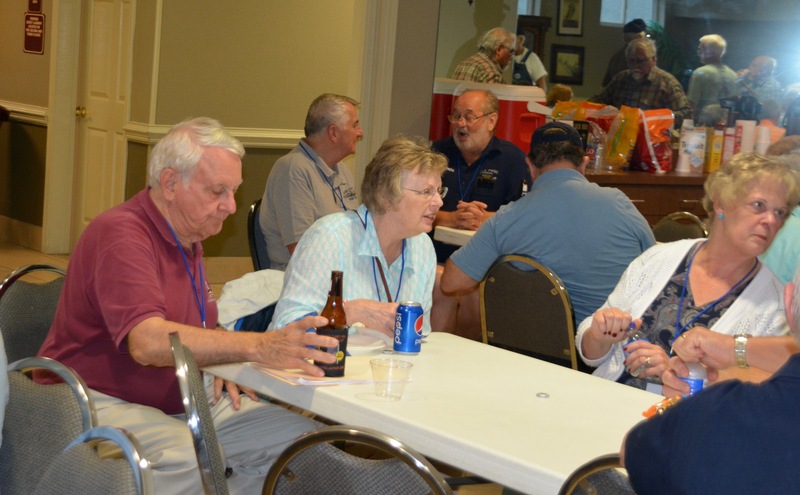 Reunion 17 - Brent & Chris Taylor (68-70) sit with Shirley Neilson. 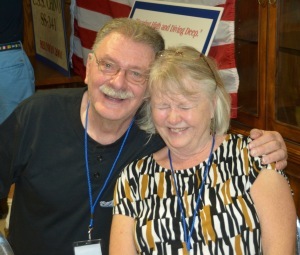 Reunion 17 - Richard and Lorraine Kala (64-66). 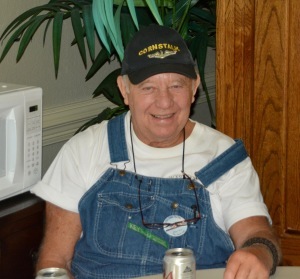 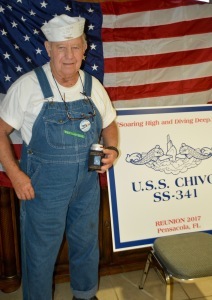 Reunion 17 - Richard -Cornstalk- Reitz (53-56) came in his dress bibs. 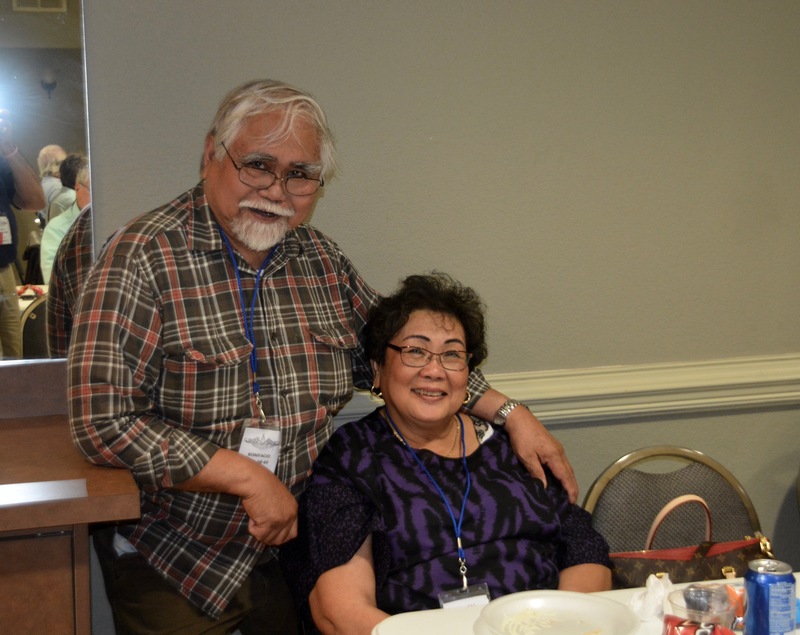 Reunion 17 - Bonifacio & Belen Cleto (68-69).